The primary home market for private residential will likely be expecting to welcome as many as 4 new launch projects by April this year. One of them will be the most highly anticipated mixed-use project at Paya Lebar Central by Lendlease & Abu Dhabi Investment Authority (ADIA) – Park Place Residences at Paya Lebar Quarter. The integrated project will be featuring a total of 3 office towers, a residential component and also a retail shopping mall, and is expected to hit the property market in either March or April 2017. 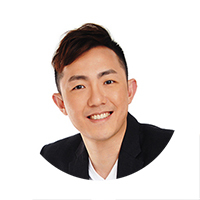 The other 3 projected condo launches are namely Clement Canopy at Clementi Avenue 1, Seaside Residences at Siglap and Grandeur Park Residences at Tanah Merah. Past trends have shown that sales in the primary home market typically gets a boost when major new launch condo projects hits the property market, with the smaller units drawing the strongest demand due to their affordability. In Dec 2016 alone, property developers have sold only 367 new homes – which is the lowest number recorded in 10 months. However, the total number of new homes sold in 2016 summed up to 7,972, which is approximately 7% marathon the 7,440 units sold in 2015. According to market watchers, more prospective buyers who have been waiting along the sidelines believe that the property market is possibly close to bottoming out and expects a gradual return of interest from both the locals and foreigners. Sales volume has also been expected to hit a range 8,000 – 9,000 homes this year. The Clement Canopy by UOL & SingLand will likely the first project to hit the market, possibly by mid or late February 2017. Interestingly, despite 1-bedroom units being pretty much popular with property buyers of late, such unit type will not be available at Clement Canopy and will only feature 2-bedroom to 4-bedroom apartment units, size ranging from 635 to 1,500 square feet (sq ft). 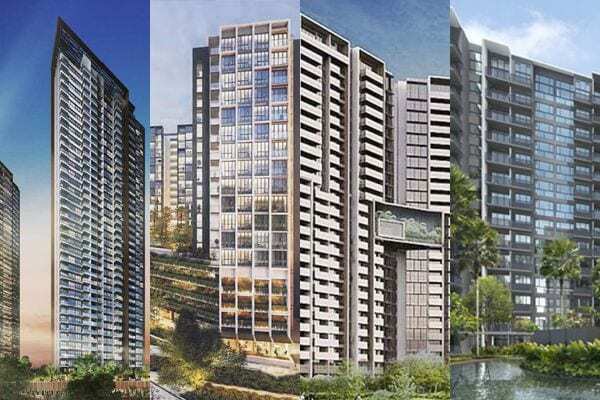 Among all the projected launches, the 429-unit Park Place Residences at Paya Lebar Quarter is the one with the highest profile – Lendlease’s 1st residential project in Singapore. Given its close proximity to Paya Lebar MRT Station and a decent sized mall (with approximately 200 stores), analysts are expecting the project to receive strong demand – as previously seen at launches such as The Poiz Residences (currently 80% sold to-date) and North Park Residences (currently 70% sold to-date). Park Place Residences will likely be offering a mix of 1-bedroom to 3-bedroom apartment units, with an estimated pricing from S$780,000 for a 1-bedroom. The eastern region of Singapore will continue to create hype for prospective buyers with the 720-unit project Grandeur Park Residences (situated near Tanah Merah MRT Station) by CEL development and the 843-unit Seaside Residences located at Siglap by Fraser Centrepoint Singapore. The pent-up demand for private homes has remained resilient despite a gloomy economy and with the property cooling measures in place. However, market watchers have added that they expect property buyers to remain price-sensitive and selective with the choices available in the new launch market, and lean more towards projects which are more well-located and priced competitively. On top of that, experts have also cautioned that any rapid surge in interest rates will likely cause an impact to the sentiments in the property market, causing demand to take a big step back.